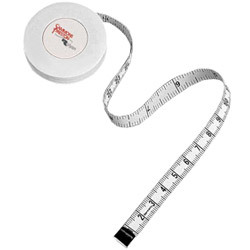 Measure up to 60 inches with this flexible, retractable tape. When the tape is extended, it locks in place until the release button is depressed. Units are in centimeters and inches.